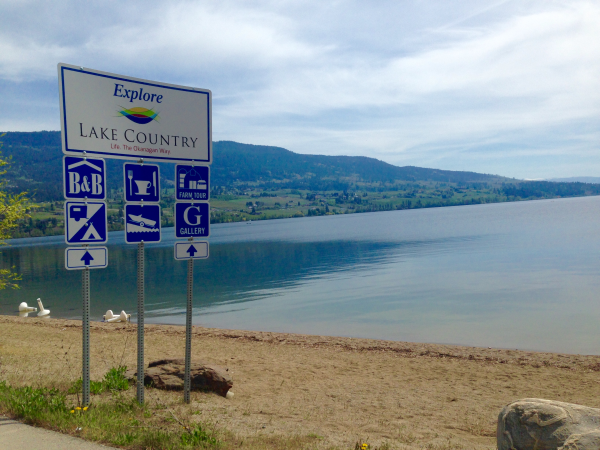 What is there to see and do around Lake Country? Shop for fresh-picked produce at local fruit stands and the Friday afternoon Farmers' Market. Spend a lazy day at the beach. Cycle farm roads. Hike the family-friendly Spion Kop trails. Rent a boat and explore Wood Lake. Taste award-winning wines at local wineries. Be inspired at September's ArtWalk, showcasing 300+ artists. Visit the Kangaroo Creek Farm. Entertain friends and family at Creekside Theatre. Lake Country has it all. The menu to the right will give you a few ideas to start on your exploration of Lake Country.